Nebraska is in the market for a new assistant coach for the first time since Scott Frost returned to Lincoln. 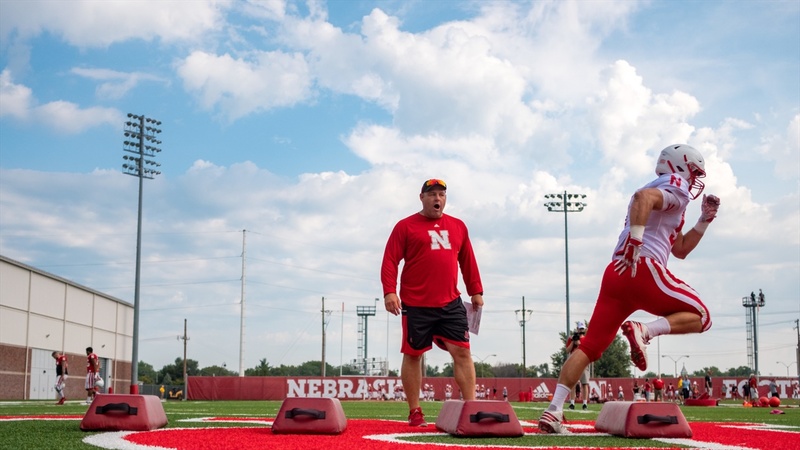 The Huskers' head coach announced Monday that defensive line coach Mike Dawson had accepted a job with the New York Giants. “Coach Dawson informed me late last week he had chosen to accept a coaching position with the New York Giants," Frost said in a released statement. "Mike has been a key part of our staff the past three seasons at Nebraska and UCF. He is a man of great character, an outstanding teacher, relates well to players and is a tremendous asset for any coaching staff. Dawson, a native of Massachusetts and UMass alum, hooked up with former Chip Kelly early in his coaching career. Dawson spent four years on staff with Kelly at the University of New Hampshire before Kelly departed for Oregon. The two worked together again for the three seasons (2013–15) Kelly coached the Philadelphia Eagles. When Frost took over as head coach at Central Florida ahead of the 2016 season, and Kelly took over the San Francisco 49ers, Dawson joined the Knights program as defensive line coach. He came with the rest of the UCF staff to Nebraska in late 2017. According to records from the University of Nebraska, Dawson signed a contract extension with the Huskers on Jan. 19. Pat Shurmur was named the Giants' head coach on Jan. 22. Shurmur was Kelly's offensive coordinator in Philadelphia.